The Basil BasEasy Ii Handlebar Holder is a stylish choice for those looking to add removable baskets and handlebar bags to the front of their bags. The Basil BasEasy Ii is specifically designed for removable baskets on men and women’s bikes. 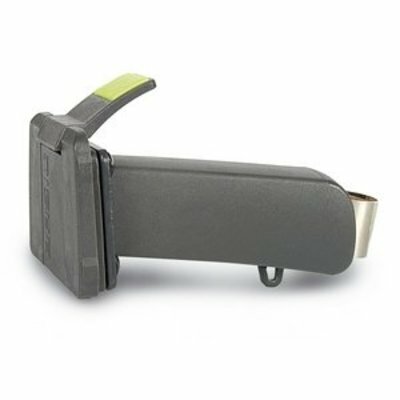 The handlebar holder is safety tested for performance and comes with plastic casing to protect valuable components. If you regularly require a basket or bag within easy reach while cycling, this attachment is vital. This bracket is adjustable in length in three fixed positions, providing the perfect configuration for cyclists of all shapes and sizes. An attachment point for cables allows for easy fitting, with all the mounting fixtures you’ll need supplied. If you’re looking for more attachment solutions for your favourite frame, browse the complete range online today at Basil. Alternatively, why not browse our impressive range for inspiration on bike bags and baskets, bells, saddle covers and more essential accessories. Basil BasEasy Ii handlebar holder for removable baskets from multiple ranges. Steel construction and plastic housing for durability. This stylish handlebar fixture makes a fine complement to all bike frames. Adjustable in three configurations for comfortable height.